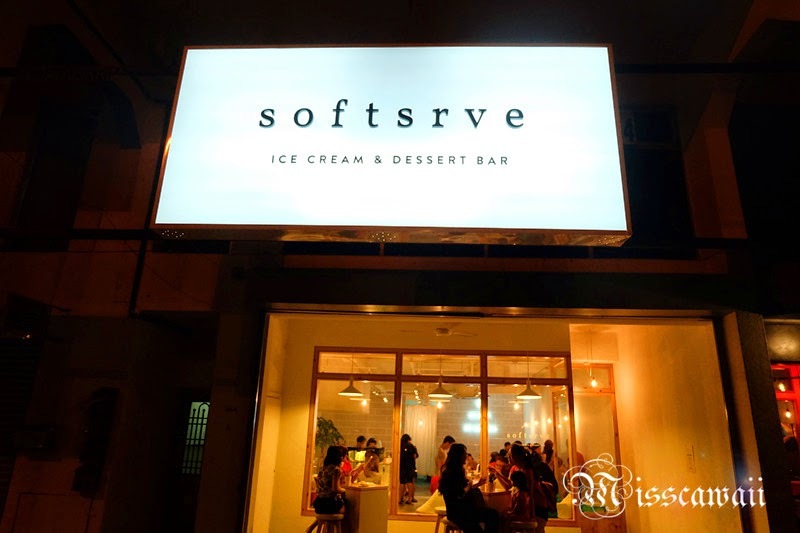 Softsrve - another ice cream shop came to the town after Milkcow. Accidently came to here just for some sweetness and a quick meet up with new friend! Totally full house when we reached and no seat for us. Many customer is take away instead waiting inside to get a seat. We are lucky and get a table after waiting about 5 minutes. Of course quickly take our order and there also lot people queue up. 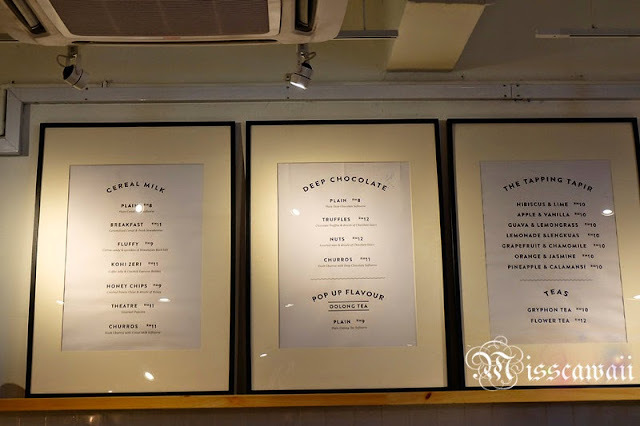 They are offer two types of softserve ice cream you can choose from Cereal Milk or Deep Chocolate. 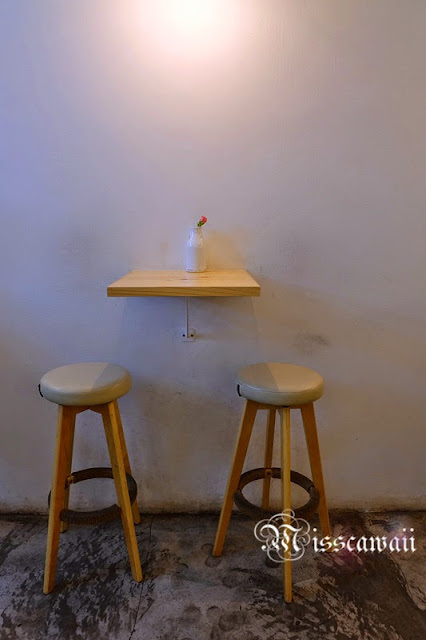 The interior design with simple use of wooden table and chair. 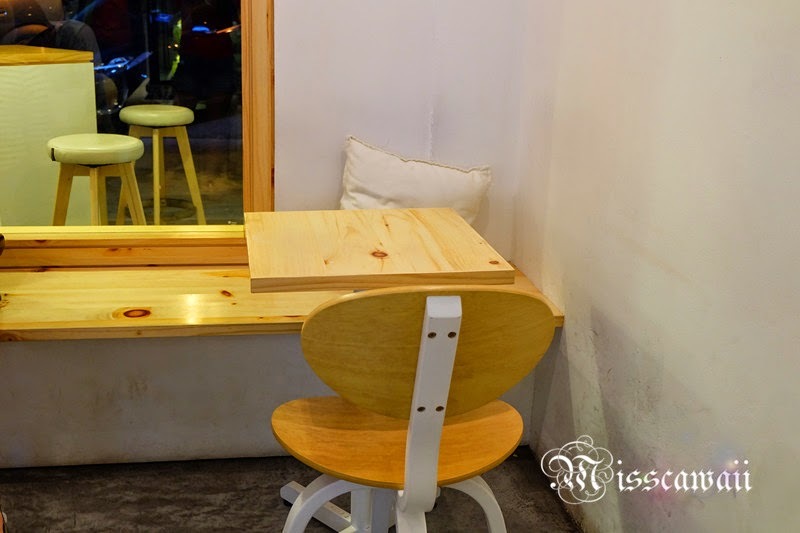 You may seat your place with this cozy corner and enjoy your ice cream. It came with caramelised cereal & fresh strawberries. 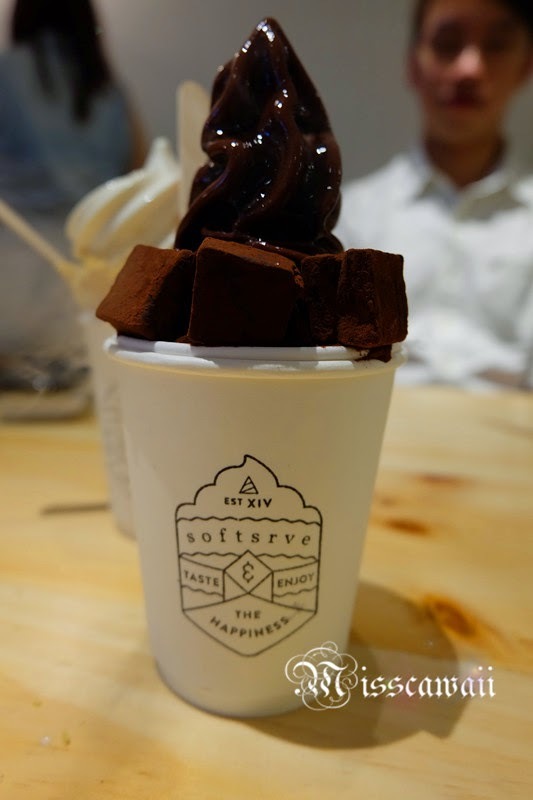 It came with Chocolate truffle & drizzle of chocolate sauce. The softserve ice cream is only serve with a small cup where place over the tall cup. I not taking the picture of this, but I'm sure that all of you may discover it if you have read from other blogger who was been shared. 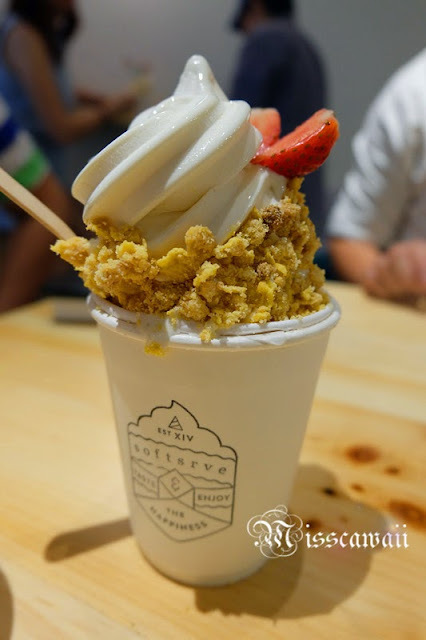 The tall cup actually place the dry ice to keep the temperature low so that the ice cream will melt slower. This is also make the smoke keep coming out from the cup. How would you think about this?